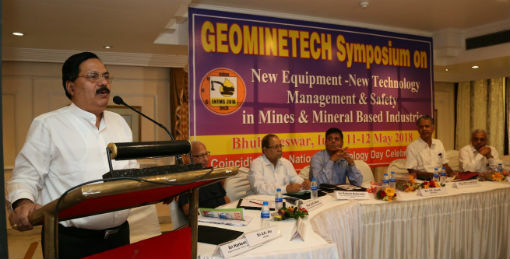 Bhubaneswar: In Geominetech National Symposium event held here today, in presence of a large gathering of technocrats, engineers, mining professionals, scientists and R & D experts, Dr. Tapan Kumar Chand, CMD, NALCO, pitched for change in mindset towards mining operations as the sector has come a long way from being viewed as not being environment-friendly to adopting the best practices of safe and green mining technologies. 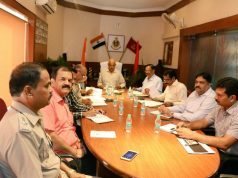 ‘’Mineral-based Mother Plants like NALCO should create an ecosystem for employment and employability to set up Micro, Small and Medium Enterprises (MSMEs) and give them the necessary support to make them competitive and sustainable. 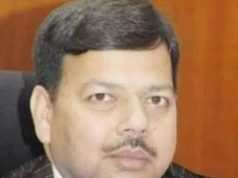 This will ensure large scale sustainable employment in the MSME sector,’’ Dr. Chand added. NALCO CMD Dr. T.K.Chand was also felicitated with the ‘Best Corporate Governance Award’ during the event. Prof. A Samaddar, Ex Director, NIT, Allahabad/Sikkim, Shri Rakesh Kulsresth, Ex DDGMS, Shri Avijit Ghosh, CMD, HECL, Ranchi, Shri Saidev, Exe. Director, IC RMD, SAIL and Prof DD Mishra, Chairman, BOG, IITISM, Dhanbad & Former Director, CIMFR were also notable present.